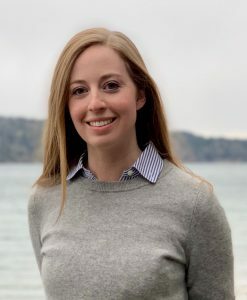 Zoeanna Mayhook, MLIS student at the University of Washington, has been selected as the 2019 BRASS Student Travel Award winner. Administered by the Business Reference and Services Section (BRASS) of RUSA, the award is sponsored by SimplyAnalytics, and includes $1,250 to fund travel expenses to the ALA Annual Conference. Zoeanna Mayhook is a second-year student in the Master of Library and Information Sciences program at the University of Washington. She currently works as a Graduate Reference Specialist at the University of Washington Tacoma Library and as a Legal Investigator and Researcher for Friedman Rubin Law Firm in Bremerton, Washington. Zoeanna also serves as the Publicity Officer for the University of Washington Chapter of the Special Library Association (SLA-UW). Zoeanna holds a BA in Business Administration and MBA from Gonzaga University. While pursuing her MLIS at the University of Washington, Zoeanna has completed coursework in Business Information Resources, Government Publications, and Academic Librarianship. “Zoeanna Mayhook has great potential to be a future leader in the profession of business librarianship, as demonstrated in her coursework, internships, jobs, and various projects”, says Kelly LaVoice, committee chair. The BRASS SimplyAnalytics Student Travel Award selection committee includes: Kelly LaVoice (Chair), Carmen Cole, Molly E.K. Ledermann, and Mr. Ignacio A. Sanchez.